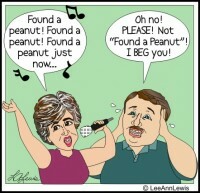 You wouldn't believe the songs that are stuck in my head! My birthday is this week and I’ve been thinking a lot about wrinkles. No, not the ones that are starting to creep onto my face (I hate those!) I’m talking about the wrinkles in my brain. The reason I’ve been thinking about these particular wrinkles is because just a few days ago I found myself singing a song that I literally hadn’t thought of in forty years. What’s even more remarkable is the fact that this was a very obscure song, and there probably aren’t that many folks who knew it when it was current! And yet here I was decades later, belting out every word of every verse with such spot-on accuracy that you’d have thought I had the sheet music right there in front of me. 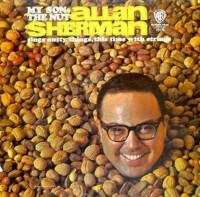 Another 1960’s era album I committed to memory in its entirety was "My Son the Nut”, by song parody genius Allan Sherman. Oh sure, everybody is familiar with his most popular recording, "Hello Muddah, Hello Faddah”, but how many of you know: "One hippopotami cannot get on a bus, because one hippopotami is TWO hippopotamus”? By now you’ve probably noticed that every one of those songs is slightly on the zany side. It’s a funny thing about me, I guess. The weirder and more bizarre something is, the longer I remember it. Give me a goofy jingle about hot dogs and it’ll cling to my brain like a hair on a balloon; but ask me to retain a useful fact like the capital of Vermont or the square root of 289, and it falls off faster than a Wacky Wall Walker that’s been dropped in the dirt! Curious as to why this is, I decided to do a little research online to find out for myself what the connection is between music and the brain, and in the process I discovered all kinds of information about magneto encephalography, which measures the electromagnetic activity of neurons and their effect on the tertiary auditory cortex. Blah, blah, blah. Needless to say, I got bored pretty quickly with this project (the Wacky Wall Walker strikes again!) and turned my attention instead to figuring out what to do with this vast repertoire of screwball songs lurking under my cranium. Then it hit me – I’ll teach them to Aidan and Avery! After all, what’s a grandmother for, right? 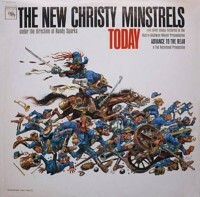 Just think, fifty years from now all these odd, quirky little tunes are going to be stuck in their brains, and they’ll have Grammy to thank for it! Alice, where art thou going? Upstairs to take a bath! Her shape is like a toothpick; Her head is like a tack. Oh my goodness, oh my soul! There goes Alice down the hole! By the way, did I mention I share a birthday with Bob Hope? That may explain a lot right there. Search for That's Me All Over articles similar to "Singing in the Brain!. Search all articles similar to "Singing in the Brain! ".